To meet your cooling needs, we offer comprehensive air conditioning services to ensure your system runs optimally and effectively. Jeff Paul has been handling HVAC repair, maintenance, and installation for over forty years! In that time, we’ve built our business upon the sound belief that honest, trustworthy, and superior service is absolutely key to success. With our experts, your needs are always the priority. This is usually the last remaining option if you’ve had an air conditioner repaired, but you can’t escape the heat. Alternatively, you may not even have an air conditioner at all this is why it’s important to go with a trusted company that uses energy-efficient brands that are well-known throughout the industry. Don’t spend another summer without comfort… Contact Jeff Paul for information on the different cooling solutions we can offer. Every so often, an AC unit has seen the last of its better days. If you have an air conditioner that’s 10 years or older, and you’ve seen rising costs on your energy bill and decreasing performance, then it may be time for a replacement. The repair or maintenance alternatives are almost always more expensive because the unit is simply too close to its operational lifetime as specified by the manufacturer. If you feel this may be the case, let Jeff Paul inspect your unit and recommend an optimal AC replacement option for you. Proper air conditioner maintenance accomplishes two beneficial things; it keeps your costs down because of the increased efficiency, and it keeps you cool during the hot summer months. Our experts can identify the common, and uncommon, causes of an AC unit breakdown, saving you money on possible replacement through early diagnosis. 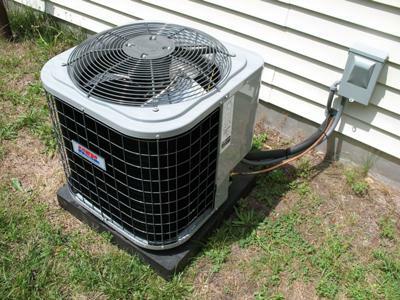 With regular maintenance, your air conditioning unit is slated to last for decades.